Take a look at this video. I’m sorry it was dragged from a news report, but ignore the commentary of the anchor bunny and watch the two men at the counter. This late-night diner falls victim to a sudden assault. A few simple steps could have helped to keep this man safe. Boom! Out go the lights and our bad guy gets away with the wallet. This is the most common type of attack in the world: the sudden assault. But the assault is not really so sudden. The predator takes a long time to decide if and when he is going to attack. Think about this. The bad guy, while out on the street, decided he had found his prey. He followed the good guy into the restaurant and, watch that video again, made a couple of target glances to size up the victim before he struck. First off, you must understand that situational awareness is not just about being aware; it is about noticing things, paying attention to the people around you and responding to their actions. In this case the victim was so intent on getting his order placed, he noticed the guy standing next to him, but didn’t take any evasive action. I don’t mean to say he could have dodged the punch. I mean to say he could have moved to a better position BEFORE the bad guy could make his move. In that situation, if a person walks up next to you at an empty counter consider taking two steps back to act as if you are looking over the menu. Doing so would put the bag guy in a more difficult location to swing with a big right hand. If you are in a restaurant all alone with one other person, step back and offer your place in line. This gives you the chance to watch the person and puts you in a position of tactical advantage. Now the person next to you has to react to you. Watch the video again. Do you see the bad guy looking over his shoulder? He is looking for other bystanders. It is clear from his actions he doesn’t care about witnesses, he just wants to make sure no one will try to get involved. If you ever see someone glancing around like that, give him some room. Situational awareness is not just about awareness—it is about taking action as well. When asked why I carry three guns, I reply: “Because four would be ostentatious.” In reality, the practical answer is less snide, but a bit longer to detail. Many people, including those who carry guns every day, think that carrying multiple guns is overly paranoid. They argue that the chance of needing one gun is miniscule, the chance of needing two is even more so, and three is, well, off the charts. They say that the more you know about gun fighting, the less you want to be in one. I would also add that the more you know about gun fighting, the more you know what techniques and equipment work, and what doesn’t work. I follow the teachings of the great American philosopher, Clint Eastwood, who said: “A man has to know his limitations.” In training, you learn the limitations of your physical abilities and capabilities and those of your gear. Tauris Holster (not related to the firearm manufacturer) makes top-quality gear. This left-hand IWB version is as well made as it is handsome. They offer a full line of holsters, for both hands. My primary weapon is a Springfield Armory XD45. I prefer full-size guns because they make it easier to hit what I am aiming at and they carry lots of lead — in this case, 14 rounds of .45 ACP goodness. I also carry a spare magazine on my support side. I do this for two reasons: 1. Extra ammunition in case I need it. 2. Magazines are the weakest link in semiautomatic pistols, and they are the most likely culprit of malfunctions and jams. If my pistol goes down, more than likely it’s magazine related. Having a spare gets the gun operational again. For backup, my second is pocket carried — usually a snubby — accessible to my support hand because I know through study of both real and simulated gunfights, there is a strong probability of getting shot in the dominant hand or arm. In fights, adversaries focus on the threat, and in gunfights, that’s the gun hand. With the eyes focused on the gun, the body, and thus, the aim point focuses there as well. This sharp-looking pocket holster is also by Tauris. A pocket holster is essential to keep the gun vertical and keep the gun’s form from printing. As a demonstration of the eyes and shots following a threat (the gun), take 10 shooters and have them shoot a generic target. Then, have them shoot a photo-realistic target depicting an attacker pointing a gun off to the side at them. You will see the groups drift towards the gun. The reason is that the mind and eyes concentrate on the threat, and the gun goes in the direction of the eyes. This happens even more intensely in a real fight. Secondly, most shooters hold their gun right in front of, and a little high of their center of mass, which coincidentally, is the place where most trained people aim. For this same reason, the primary gun itself can be disabled by being hit by a bullet. Getting back to pocket carrying a snubby, I prefer internal hammered, or shrouded revolvers for pocket carry rather than a semiautomatic pistol because of the shape of the frame. Rather than a squared-backed semi, the rounded rear top of the revolver’s frame makes it less likely to get caught in the pocket. Also, revolvers are less sensitive to pocket dirt and lint. Another good reason for a backup gun is that the primary firearm can jam. This could happen for a multitude of reasons such as being rolled around in the dirt during a fight, broken firing pin/striker or simply a worn magazine spring. Additionally, guns, like all mechanical devices break, just because. A backup gun is also important if your primary gun gets taken in a gun grab. Many altercations start as a physical, hand-to-hand fight. If the gun is inadvertently discovered during the tussle, it may be grabbed from you. In a similar fashion, the gun may be taken from you if deployed at the wrong time. Example: If you are down on the ground fighting without proper control on your attacker’s arms/hands and you reach for your gun, it opens you up for a gun grab. It’s all well and good to say that you won’t do that, but funny things tend to happen when you are fighting for your life. Having a holster for your support side allows you to carry two guns on your waist. Running out of ammo is a good possibility as well, especially when faced with multiple attackers. The FBI states that multiple attackers perpetrate nearly half of all violent crimes, and that percentage is increasing. 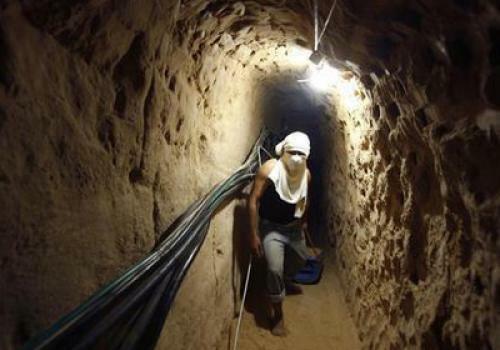 Fourteen rounds may not be as convincing when faced with four attackers. Some folks prefer a New York Reload (changing guns) rather than reloading their primary weapon. For them, it is faster and presents a lower chance of fumbling and screwing up. This is important under the extreme stress of a life-threatening attack. Don’t forget the possibility of drugged up thugs, which are becoming more common. These attackers feel no pain and usually require numerous rounds on target to stop their body’s locomotion. If in a struggle, you are pinned, and either your primary weapon or strong hand is unavailable, a gun accessible to your support hand may be your savior. TIP: The same ankle holster can be utilized on either leg by flipping the holster and reversing your grip. My third gun, also a snubby, is on my ankle. I carry it there for two reasons. Through training, I know that a belt-borne firearm or pocket holster can be very difficult, if not impossible, to access if the fight goes to the ground – again a good likelihood. There are a few techniques that allow a draw from an ankle holster when your belt holster is unable to be reached. Ankle holsters are also very good for use in a car since they are not encumbered by seatbelts. Just as one type of gun, or one style of holster may not be perfect for all occasions, one carry location may not suit all needs either. Why carry a third gun? In addition to offering access options in multiple scenarios, having three guns allows me to give one to someone else (who is mistakenly, not carrying) in an emergency and still have a backup. My choice of equipment, techniques and tactics are based on training and experience — others, and my own — all chosen for specific, well-thought-out reasons. Carrying multiple guns is not paranoid, it’s simply being well prepared. Should you invest in CCW liability insurance? An In-depth Look At Concealed Carry Insurance: Should You Get It? Car insurance, bike insurance, rental insurance, fire insurance… The list goes on and on. No American is immune from the endless wave of insurance policy after policy being tacked onto their monthly budget. What person in their right mind wants to add an additional expense? Well, for concealed carriers and gun owners in general, the insurance industry has developed a number of products specifically geared to us. It can be called a number of different names but most of the policies boil down to “concealed carry insurance” or “gun owner insurance” or “personal firearm protection insurance”. It doesn’t matter what it’s called — it matters what it does. However, the devil is always in the details. Some policies promise to only cover up to a certain amount while others won’t touch your case if you’re charged with a crime. Most policies that we’ve reviewed can run between $120 to $400 annually. So, when you do the math, it comes down to an additional $12 to $34 a month you have to budget. Well, what’s that worth? As it turns out — quite a bit if you do it right. b.) most are underwritten by the same select few groups. Concealed carrier uses his self-defense firearm to defend against armed robbers. A witness comes forth and says, “that guy shot those other people without provocation.” Now you have the district or county prosecutor looking to file charges. It’s clearly self-defense but you still may face criminal charges associated with the case. That’s an example where you want your concealed carry insurance policy to kick in. You took your concealed carry pistol out to transfer it to your glovebox. The pistol, whether due to mechanical defect or otherwise, discharges. Because other people heard the shot, they call the police. The police arrive and they charge you with something lame like, “discharging a firearm within city limits”. Now you have a criminal court case to deal with. It’s late at night and you’re walking home from the movie theater and two teenagers rob you at – what you believe – is gunpoint. You shoot one of them and the suspect dies. Even though the police may have ruled it self-defense, the aggrieved mother says that her son was a straight-A honor student incapable of such a heinous act and files a civil suit. Your out on your personal range firing at a target when you realize too late that the neighbor’s dog had strayed out in the woods behind where your targets were posted. Your neighbor says that this dog is a fine pedigree, last of its family, and demands all the money as compensation for damages in a civil suit. While you’re at work, your husband used his concealed carry pistol. Are both of you covered – or just you? Civil court costs, criminal court costs, attorney fees related to trial, testimony, witnesses, and court fees — added bonus if they also cover retrials. Initial bail bond — When there is reasonable doubt on behalf of law enforcement about the justifiable use of a firearm, the judge tends to set bail high. It’s not uncommon for bail amounts to be set at $100,000 or more depending upon the severity of the charges. That means you will either sit in jail until the trial or you need to pony up $10,000 for the bail. Does your concealed carry insurance cover this cost? Initial attorney retainer fees— These fees can be upwards of $50,000 to cover a criminal defense case and need to be “cash in hand” before the attorney takes the case. Coverage across state lines— does your policy “blackout” when you cross the New Jersey state line? If it does, it’s worthless. Make sure to get specific answers to this question in particular because you may not always be in your home state when something happens. Caps — Most concealed carry insurance policies will have caps. That means that after expenditures have reached a certain amount (usually dependant upon the plan you’ve purchased), the insurance policy does not cover additional costs. Even if you’re covered for a relatively large sum – like $100,000 – you will be surprised how fast that money goes over the course of an actual criminaltrial. If you’re serious about getting concealed carry insurance for yourself and your significant other, make sure to aggressively check the underwriters and agencies touting these policies. A lot of insurance agencies can afford to give out lavish promises because the vast majority of concealed carriers will never need to cash in on that policy. More seasoned agencies will be more conservative and try to cut corners to avoid costs in the rare event it does happen. If you see a policy that you think works for your situation, look at the actual agency providing it. For instance, Lockton Affinity is linked to multiple places selling CCW insurance. Does one of those other places offer a more competitive price for a more competitive package? Ultimately, your chances of needing concealed carry insurance is extremely small. Yet, for those few who do it’s likely worth every single penny — if you shop around intelligently. You’re an everyday concealed carrier — good to go! Hanging out with your friends, you know that if an emergency situation arises, you’re ready and able to protect them and yourself. That’s a great first step. Even better is when you’re all carrying concealed. In this article, we’ll talk about a few ways to get your friends into carrying a concealed firearm. One of the best ways to get someone accustomed to firearms is getting them to actually fire a gun. People who are unfamiliar with guns tend to be a bit skittish around them. They know guns are associated with violence and that sort of programming is embedded in their fine motor skills. A first time shooter will jump at the sound of a loud bang. He’ll instinctively close his eyes before squeezing the trigger. His hands may visibly shake. How do you expect your friends to trust handguns if you don’t set the right example? If you’re a concealed carrier, you’re an unwitting ambassador to your community in terms of gun rights and the importance of staying responsibly armed. One of the best things you can do to inspire your other friends to become concealed carriers is simply setting the right example. Don’t drink and carry. Don’t flash your gun around. Don’t get caught up in petty squabbles and then threaten the other party with your CCW permit. These are things that make people feel you’re unstable and make them less trusting of the pivotal role firearms play in our society. A lot of the anxiety that arises with becoming a concealed carry permit holder is simply getting to the part where the person gets the permit. Some states are much more convoluted than others insofar as applying and fulfilling requirements. 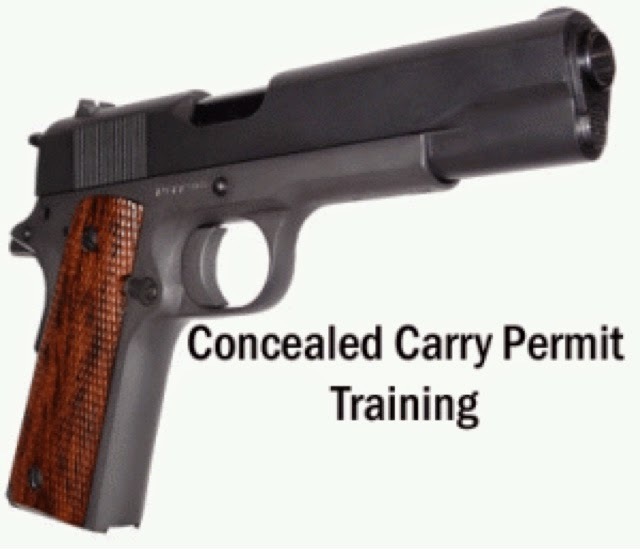 For more information check out our Concealed Carry Permit Information By State section. Because you’ve already made it through, you’re in a great position to help your friends through this process. If you’re in a state that requires mandatory CCW training classes, show your friends how they can sign up for a class. 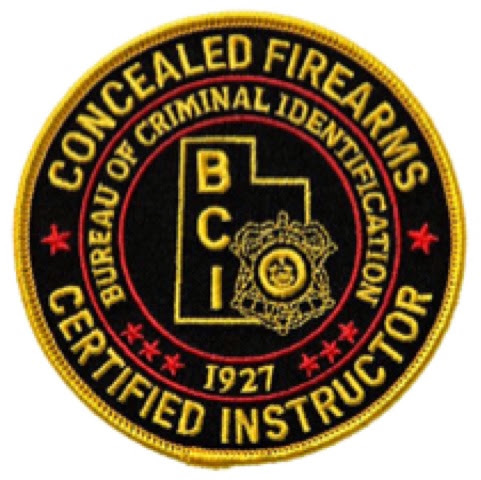 Click here for our Firearm Instructor Directory. If you know a CCW training class is coming up, remind your friends that it’s happening. You don’t have to be pushy, but it’s always nice to know you’ve got someone willing and eager to help. Now that you’re close circle of friends all carry concealed, this is a great opportunity to reinforce the everyday carry mentality. Show them that there’s more to an inside the waistband concealed carry holster than just what they see at the gun shop. Point out why it’s better to use JHP or defensive rounds like HydroShok versus carrying just FMJ. Get into discussions about best practices when faced in certain situations. Let them learn from the lessons you’ve had to learn and who knows — maybe you’ll be taking advice from them soon enough! We’ve previously covered a bunch of road rage incidences — some ending in favor of the concealed carrier and others not so much. In this article, we’re going to address some of the common factors observed across the board and talk about ways to de-escalate a perceived threat while driving. It’s not always possible to do both at the same time. For example, in order to take an active mental inventory of how you’re feeling, some attention may stray from things going on around you. Conversely, if you’re paying attention to the world around you, your own internal thoughts may have faded into the background. This is why observing stress points is important, though. Just as important as understanding that some fool in a motorized vehicle cut you off at 80 mph and then hit the brakes, is recognizing that this action has affected how you emotionally handle the situation. If you’re human, you’re going to fear loss. This fear, once realized, can sometimes transform into anger. This anger will cloud your judgement. And the fact that someone was so inconsiderate that he or she would needless jeopardize you, your vehicle, your commitment to arrive at a particular destination, or even the well-being of those in the vehicle with you — it’s enough to get a person’s blood boiling. The common consolation is “get over it”. But what if you can’t? What if this guy’s actions are the tipping point? Here’s a friendly reminder: you are always in control of your own actions. You’re allowed to feel any emotion you want. Your actions are what you will be judged by. Consider wisely and recognize this as a stress point. That’s right. Another driver can veer right in front of you, jam on the brakes, drive like a jackass and you have to keep your cool. What sort of monkey business is this? It’s reality. You’re an armed member of society. And that society operates by laws and rules. Here’s a couple guidelines to keeping your encounters with the other driver above board. Just because the other driver did something callous or stupid doesn’t give you permission to do the same. Consider everything you’ve worked to achieve in this life and everything you have. When you idly create conflict, you jeopardize all of it. Plenty of people have tried and plenty have lost near everything in the fallout. You know there’s at least one bonafide idiot on the road. What are the chances that there’s another right behind him? Especially around peak traffic times, drivers all tend to get a little crazy. In your haste to stay “on top of” that first driver, you may be driving into a second, third, or even fourth one. What’s a good example of this? Ever drive down a congested highway and notice one lane has screached to a halt while the other one is moving sluggishly? What happens? Drivers inevitably try to switch sides which leads to a lot of potential “stress points”. Now we’ve discovered one lane is — lo and behold — closed down by some traffic incident or accident. Now the true idiotic games begin. Ever notice how truckers just stay in the same lane and keep plodding along? It’s because it works. It doesn’t matter how many times you get cut off — you will get to your destination. If the guy (or gal) in front of you or behind you doesn’t seem to get that, fine. Let them do it their way. Guess what? Both are wrong. You feeling angry has nothing to do with your safety. You not arriving on time to your destination because somebody is acting the fool on the road is not a justifiable use of a firearm. And lastly, if you’re at a stop light and someone gets out and begins to approach your car — you need to be of sound enough mind to recognize that as a real potential threat. You can bet if you’re both parked at a stop light after some road rage was expressed (by either side), neither of you are in the mood to talk. The worst thing you can do is present yourself as a legitimate threat. The way you would go about that is exiting your vehicle and approaching the other person’s vehicle. Now you’ve shown your hand — and that person is free to interpret your actions. Can you guess how that person will interpret your actions? Avoid the conflict at all costs unless a clear and present danger expresses itself. If a road rage incident ends in an accident, it’s best to keep it basic. Take pictures of the accident — its impact points, any telling features such as skid marks or pavement scratches. Keep the conversation clean, stick to the details, and move on. In a vehicular accident, you are not obliged to talk with the other person. You can call the police and they’ll arrive at the scene and the police officer can take the exchange of information for insurance purposes. He can also act as a calm reminder that everything needs to be kept “above the belt”. One of the ideas proposed with the new gun control legislation is mandatory “universal” background checks required for all gun sales. The National Instant Criminal Background Check System (NICS) is the database checked during gun purchases to ensure individuals such as felons and the mentally ill aren’t allowed to purchase guns. In theory, requiring a check for each firearm purchase would clamp down on guns getting into the wrong hands. There are a few problems with this idea. The system is woefully inadequate, underfunded, lacking in up-to-date or accurate state-reported felony and mental illness data, and doesn’t address the core root problem of criminals getting guns via illegal trafficking or straw man purchases. During the Obama administration, Congress has failed to provide the necessary funding for NICS. Despite Congress passing the NICS Improvement Amendments Act in 2007, many states have made little or no progress reporting felony and mental illness data to NICS. This is largely because Congress has not fully funded NICS or provided correct incentives for states to do so. Congress actually appropriated just 5.3% of the total authorized amount in fiscal years 2009, 2010, and 2011. Many states do not report, or grossly under-report, felony and mental health information to NICS. In fact, 19 states have provided fewer than 100 records of individuals disqualified on mental health grounds since the implementation of NICS in the early 1990s. 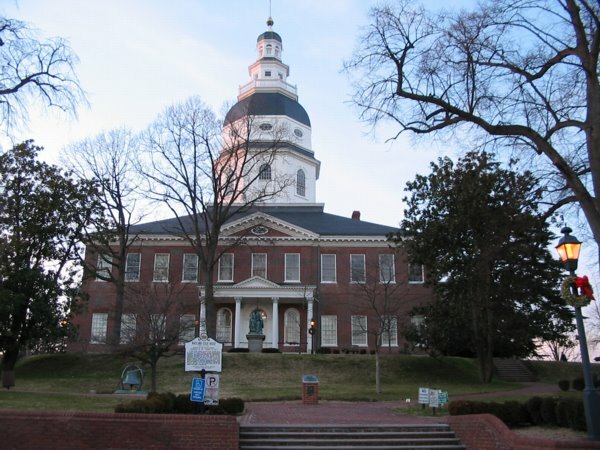 For instance, Maryland has only submitted 58 mental health records to the NICS database since 1999. Failing to report this data has allowed several mentally ill people to commit mass shooting murders, such as the shooters at both Arizona and Aurora, Colorado. The Obama administration’s Justice Department is also not strongly enforcing prosecutions of people who falsify information on their gun background checks. The FBI reported 71,000 instances of people lying on their background checks to buy guns in 2009, but the Justice Department prosecuted a mere 77 cases, or a fraction of 1%. Advocating universal background checks may leave the uninformed with the impression that this measure would solve the issue of criminals obtaining guns; it doesn’t. According to a 2001 Department of Justice study, 78.8% of criminals get their guns from sources outside of retail store purchases. 39.6% get guns from friends or family while another 39.2% get guns from the street or other illegal means. Universal background checks don’t address illegal trafficking. Trafficking has been a significant problem in Australia and in the UKsince their respective gun bans. Here in the United States, we have serious issues with border security. The FBI states gangs – which boast 1.2 million active members as of 2011 – engage in illegal guns trafficking, as well as narcotics. Universal background checks for purchases could easily be circumvented through illegal trafficking. This is not to say that legal purchases shouldn’t have a check, but to demonstrate that this measure doesn’t solve illegal gun possession. Another issue not addressed by universal background checks is the straw man purchase, the act of illegally acquiring a firearm through a third party. The ATF defines straw man as using another person to acquire a firearm when the end user is specifically prohibited from acquiring the firearm. “That is to say, the actual purchaser is a felon or is within one of the other prohibited categories of persons who may not lawfully acquire firearms.” The straw purchaser violates federal law by making false statements on Form 4473. Criminals could circumvent universal checks by having another person with a “clean” record purchase the gun for them. This is already illegal, but that doesn’t stop it. Criminals could also borrow, buy, or otherwise take illegal possession of a gun, even if the gun wasn’t originally purchased with straw man intent. There is no logical, credible reason why universal checks would be any more effective in stopping either already illegal activity. Combine this with the fact the Justice Department doesn’t prosecute referred fraud cases, and it’s a loser solution to stopping guns from getting into the the wrong hands. The Sandy Hook Elementary shooter killed his mom and stole her guns. Police have been targeted for gun theft – both from their homes and from their vehicles. The FBI also reports that organized gangs have stolen weapons from the military. Even safes can be cracked or if not bolted down, removed and later cracked. 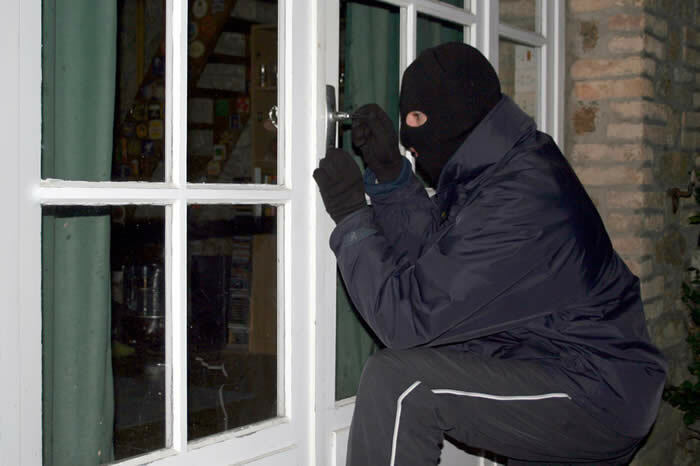 Home invaders can steal weapons right out of houses, even when the occupant is inside. No system can prevent the wrong people from acquiring guns in this manner. This article was originally published on PolicyMic.com, now Mic.com. Original publish date Feb 25, 2013. Original author, Matt MacBradaigh. Friends with felonies...can they mingle with CCW's? 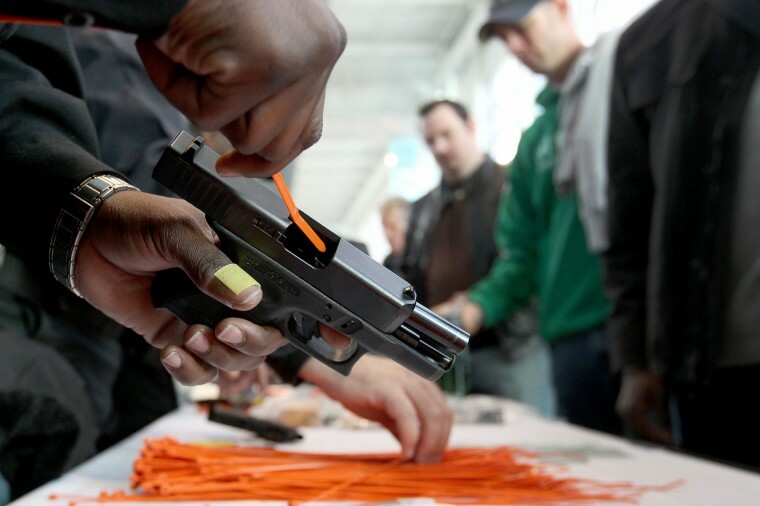 Friends With Felonies — Can They Mingle With Concealed Carriers? The Washington Examiner recently covered an article where the House voted in favor of restoring gun rights to non-violent felons. “America is a land of second chances. One mistake should not define your future,” Colorado Republican Rep. Ken Buck said. The House agreed on a voice vote to his amendment to the Justice appropriations bill. That section of federal law outright precludes any felon from keeping, possessing a manufactured firearm. There’s an additional catch found later on: other people can’t knowingly provide firearms to felons. So, if you wanted to go to the shooting range and wanted to bring along a buddy with a prior felony conviction — that’s off the table. Q: Can a felon travel in the same vehicle as you if you’re armed with a concealed carry firearm? A: Yes. So long as you are a legal concealed carrier, there’s nothing barring that from happening so long as the felon does not possess the gun at any time. The best way to ensure this is to keep your firearm in your IWB holster unless you intend to use it. Q: Can I invite a felon into my home if I have firearms inside? A: Yes. You may invite a felon into your home so long as you do not knowingly or unknowingly allow him to possess those firearms at any time. Q: Can I have a convicted felon as a roommate if I have guns in the house? A: Depends on the state. MOST states prohibit a known convicted felon of having any reasonable access to the firearms within a house. States such as Nebraska generally see it as an “ability to access” issue. If the guns are locked in a safe where the felon does not know the combination and has no access to them — it’s okay. 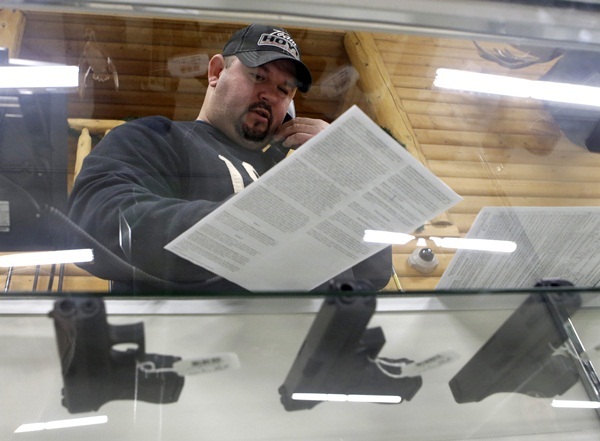 For other states, such as California, they may be charged with illegal possession of firearms. Georgia — arguably the most liberal in its interpretations of the 2nd Amendment — is extremely hard on former felons and, if law enforcement discovers the felon is living in a domicile with guns, will charge him for the possession of those guns. The overall consensus is — check with your state law and when in doubt, the answer is no. You are more likely to jeopardize that felon’s good-standing with the law than they are to jeopardize yours. Q: Where do I check to see if my state allows felons to live in the same domicile as my guns? A: Your state statutes will decide, ultimately, what constitutes that felon’s possession of firearms. A felon, in almost all cases, cannot have reasonable access to or possession of firearms at any time. Q: My brother is a convicted felon and he wants me to purchase a handgun on his behalf. Is that legal? A: Absolutely not. It is illegal to purchase a firearm with the intention to transfer it to a known felon. Q: My roommate just got a restraining order placed against him. While it’s not considered a felony, can he still live in the same domicile? A: State ruling will be required on this one. Federal law prohibits a person with a restraining order to have possession of a firearm. A restraining order and misdemeanor domestic assault charges are all on the same par as felony offenses when it comes to the possession of firearms. You should consult with an attorney versed in your state’s laws. Q: My spouse/significant other was recently placed under indictment for a felony offense. What do I do with my firearms? A: You need to consult an attorney to determine the best course of action. People under indictment for a crime are innocent until proven guilty by a court of law. However, that indictment is a bar against purchasing or possessing a firearm. Thus, the considerations that would take place for “reasonable ability to possess” may come up depending upon which state you reside. Q: My girlfriend is a convicted felon. Can she sleep over? A: State law will dictate what is considered “illegal possession” and as we’ve already pointed out, being in the house with accessible firearms may constitute that depending on the state you’re in. Be safe and lock up your guns. Do you find this sort of Q&A style helpful when discussing complicated stuff like federal and state law? If you found this helpful, tell us in the comments section. If you have any questions you’d like us to examine — also put them down in the comments section. Remember to share and like us on Facebook and Twitter if you’d like to find out more about the legal stuff with guns. Disclaimer: It is your responsibility to understand the laws in your area, and what you can and cannot legally do. It is also your responsibility to use your best judgement, given the situation that you may find yourself in. In no way should this information be viewed as legal advice. When in doubt, consult a lawyer for any clarification that you may require. Simply put, use your best judgement and always abide by the law. Should I SHOOT TO KILL??? The Most Misunderstood Concept - Should I SHOOT TO KILL? Perhaps through a continuous onslaught of really bad Hollywood movies, a certain percentage of individuals see the need to use the term “SHOOT TO KILL.” This ranks right up there with firing a warning shot – TREMENDOUS MISTAKE! To understand this, let’s first discuss what proper use of force is. Police officers are taught to understand the ‘continuum of force,’ and although it’s geared towards our LEO’s, there is something to be learned here. We’ll briefly discuss the applicablelevels, and explain how they relate to you as a law-abiding gun owner below. Due to criminals desiring easy prey, the use of the voice can usually achieve the desired results. Whether you realize it or not, your voice is power. Instructing a person to, “Stop.”, “Don’t Move.”, “Be quiet.”, “Listen to me.”, “Show me your hands,” etc. can sometimes be very effective at diffusing an altercation IF PRACTICAL. Key phrase, I say it again, only if the situation warrants it. Some scenarios may require an immediate escalation to a higher level on the use of force continuum. Let’s make something immediately clear. I’m not a fan, but since many Americans choose to carry these, it bears a short discussion. As a former law enforcement officer, I’ve been both pepper sprayed and tasered. I can tell you that tasering someone usually just angers them, and the time that they’re incapacitated is very brief, if at all. Pepper spray can be slightly more effective when used properly, but it carries the risk of incapacitating yourself as well. If you don’t take wind direction and velocity into consideration, you’re going to learn how cayenne feels. Finally, even with a valid concealed carry license, some states have laws against carrying pepper sprays and/or tasers. As a citizen, the risk of using these weapons is too great, and just not very practical. This is the focus of the discussion. If you’re at this level, a few things have already occurred. 1) There’s an imminent threat to your life, or the life of another human being. 2) If you don’t take immediate action, serious injury and/or death will likely occur. That being said, the threat must be stopped as quickly and efficiently as possible. The easiest way to do that is by firing your shots at center mass. “Shooting to wound” is a ridiculous concept that’s only practical on the Hollywood big screen. If you’re in an altercation serious enough to pull a handgun, you need to immediately stop the threat. If it’s not life-threatening enough to do so, than why’d you brandish the weapon in the first place. Furthermore, police officers are taught to shoot center mass for 2 very important reasons. 1) It’s the most efficient way to stop a threat. 2) It’s a big target. Good luck hitting an arm or a leg. Simple. A jury will fry you in court. If you’re ever involved in a shooting, a grand jury will have to decide whether or not it was justified. They’ll make that determination by examining the evidence. How does it look when you tell the responding officers that the bad guy came at you, so you shot to kill? If you take nothing else away from this article, remember this. You only draw and fire when in fear for your life, and YOU SHOOT TO STOP THE THREAT! If the bad guy expires as a result of his injuries, it’s unfortunate, but so be it. To take it one step further, stay away from what I like to call the novelty ammunition. A perfect example of this is the G2 R.I.P. ammo. or the bacon coated Jihawg ammo. Think about how a jury would look at your ammo. selection should your attacker expire. Hollow points have worked beautifully at stopping threats for decades. I assure you, they’ll work just fine. Finally, as mentioned at the beginning of this article, NEVERfire a warning shot. That goes against at least 2 of the basic 4 rules of firearms safety (if you don’t know what they are, please learn them before you continue reading this article). In fact, several Americans who have had very good intentions fired a warning shot, and in turn were charged with a crime. Most Americans don’t have a problem defending themselves, but rather struggle with what happens after the police arrive. Two simple rules…..
1) Be prepared to be disarmed and handcuffed. This is standard procedure, at least until police sort the situation out. Make sure you cooperate. 2) SHUT UP! By all means, identify yourself with name, date of birth, drivers license, etc. But anything pertaining to the actual shooting, EXERCISE YOUR RIGHT TO HAVE AN ATTORNEY PRESENT. They don’t need your help to sort the scene out. They’re investigators – that’s their job! They’ll figure it out, I promise. The police are not there to chit chat, they’re present to build a case against you if they feel ANY laws were violated. Lawyer up. We all hope and pray that we never have to go through a traumatic situation like this, but we still carry a gun. Being prepared to defend yourself is crucial, but don’t forget how to behave after the threat has been successfully neutralized. How to overcome your fear of carrying concealed! Not everyone was raised around guns. In many cases, the first time a person picks up a rifle or pistol it’s usually either in the military or law enforcement training. For the fortunate few who have either grown up around guns, were involved in athletic shooting competitions, or just had the pleasure of having friends who were familiar with guns, the fear of owning a gun has largely dissipated. But what about carrying concealed everyday? This idea can and does cause lingering anxiety for many of those with a concealed carry permit. Even though numbers show that a very large number of Americans are joining the ranks of legal concealed carry, many don’t, won’t, or don’t trust themselves or others enough to carry. You are the master of the gun that is under your control. So long as a gun is under your control, it will not negligently discharge. So far as you obey the principles of firearm safety, you will not injure yourself or others negligently. If those previous two sentences don’t resonate as a truth, it’s important to take the steps to prepare yourself mentally and physically to overcome them. Become so familiar with your firearm that it is a natural extension of yourself. This means daily practice, dry firing, shooting at the range, and feeling confident that it’s there with you. The great thing about carrying concealed is that the majority of people you encounter will never look at you twice because they think you’re carrying. As long as you’re not brandishing or printing, the average person has no way of knowing you’re carrying. And for those who do carry concealed or have a background in military or law enforcement, they’re not worried about you. So long as what you’re doing is legal, most concealed carriers are more than happy to see there’s others of a similar mind out there. After all — the more concealed carriers in an area, the more dangerous it is to be a violent criminal. The best way of knowing whether or not you’re in the right is to simply know the law. Each state has its own particular gun laws. Some are extremely easy to follow and others are super complicated. It’s your job to know these laws so you can feel confident in carrying your concealed firearm. This plays off a previous point. The better concealed your firearm is on your person, the less chance anyone will know you’re carrying. Research inside the waistband holsters that fit your particular carry style and wear clothes that suit and match that. If it’s super hot weather outside and you’re just wearing a t-shirt and jeans, that full size 1911 may show up pretty easily. Conversely, if you see a yahoo walking around with a clear print of his everyday carry, it’s not your job to correct him. You’re not responsible for anyone other than yourself. Not everyone is like you and some people are just downright daft. So long as they don’t cause a problem — don’t cause a problem. In conclusion, the only way to get over the fear of carrying a concealed firearm is to practice it every day. There’s a strong likelihood you will never need to draw your pistol or even show your permit to anyone. And as time goes on, you will see that carrying a concealed pistol is only enabling you further to protect yourself and those you love. It’s a fear worth getting over. How do you leave firearms in the car responsibly? Do you use FMJ's as your CCW ammo? How do you chose your firearm instructor??? How often should you change your CCW ammo?